We have had the privilege of working closely with the Tony Bianco team across their entire customer experience since 2010. Over this time, we’ve worked on a number of initiatives including a mobile app, eCommerce, integration, customer service and comms. In 2014 Arkade was engaged to revamp the incumbent points/tiers loyalty program. Our discovery showed that customers were frustrated with a program which was inflexible and no longer resonated due to a lack of value to them as members. Not surprising when it was found to be focused less on customer experience and fulfilling the brand promise, and more on fulfilling the promise of the software. In defining the core customer benefits the program would offer, a lower than typical transaction frequency needed to be considered alongside the brand’s ongoing diversification into new product categories. Tony Bianco is known for its coveted shoe range, and a key consideration was to bring in new customers to experience that range. In understanding the brand’s nuances, we came to discover those of the customer too. 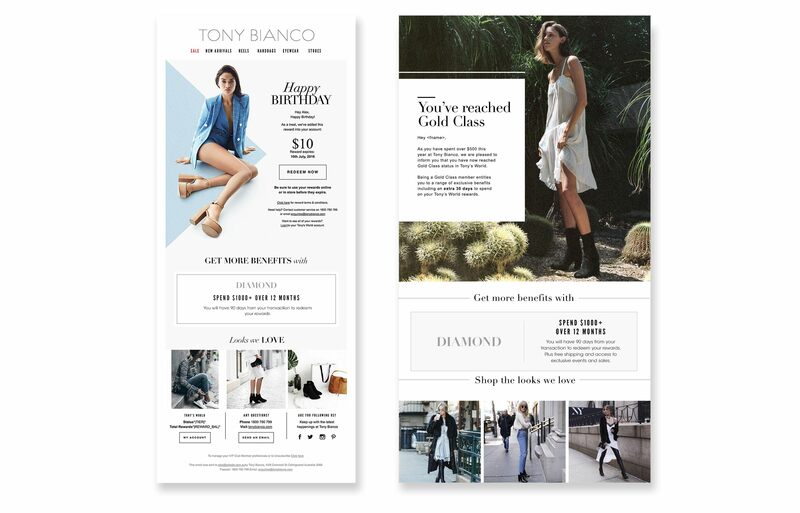 An incentive program solution needed to make the customer feel connected to the brand through status and reward. Ongoing transactions were encouraged through reward for purchase, and status benefits, rewarding higher spend and higher spenders to encourage brand loyalty. The platform discovery phase also uncovered the technical platforms the solution was required to integrate with. This included the existing eCommerce, ERP and POS systems and needed to encompass the implementation of a new email communications platform. Arkade worked with the Tony Bianco team to design and implement an engaging rewards-focused loyalty offering called Tony’s World. 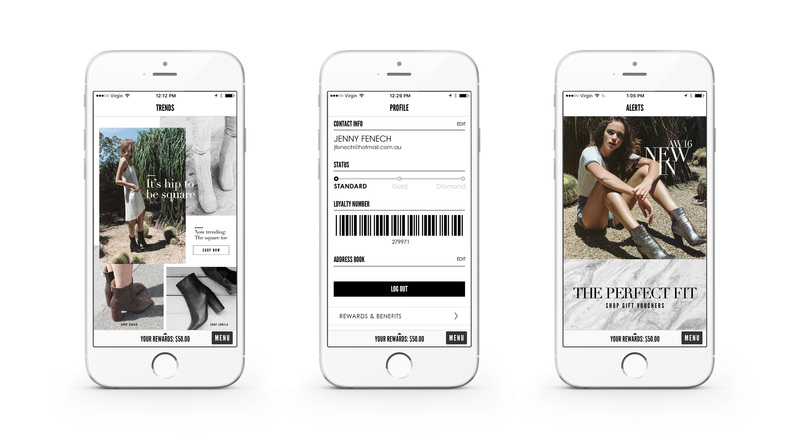 It enabled customers to be issued generous rewards relating to the type of products purchased, with a particular focus on the brand’s shoe range. 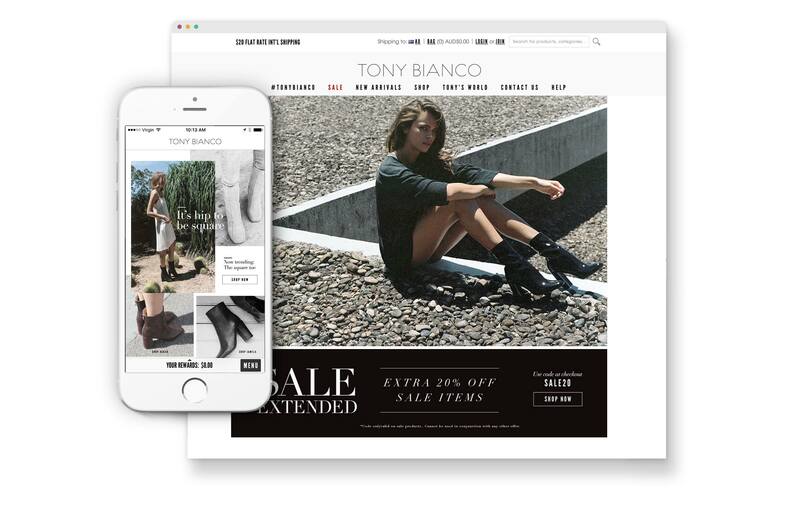 We delivered a platform that was integrated across a customer app, eCommerce, email, push and in-store customer experiences. The result was a program that ran consistently and successfully for more than four years. It drove a high level of engagement which in turn drove up average transaction values, purchase frequency and brand engagement. Over time, ongoing customer discovery was undertaken to consistently deliver high value to brand’s known (and valuable) customers.